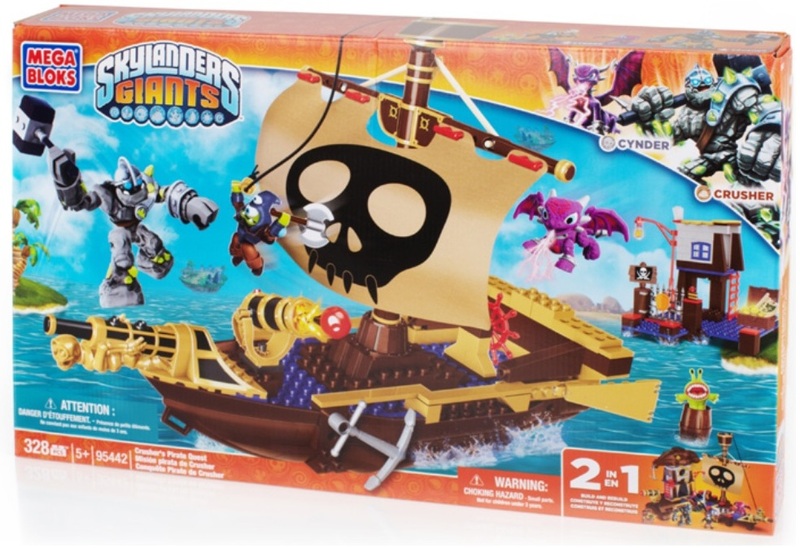 Product Detail Summary: Set sail on an adventure to defeat the evil minions of Kaos with the buildable Crusher’s Pirate Quest by Mega Bloks Skylanders GiantsTM! The colossal Crusher swings his stone hammer in a clash with the deadly Axecutioner. Meanwhile, Cynder leaps into action to take down the remaining Chompy. Rebuild the set into a dock inspired by the Cutthroat Carnival in Skylanders Giants and discover all of the action features in this 2-in-1 play set.